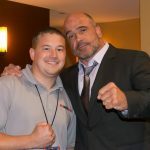 This past Friday night from the Bryce Jordan Center at Penn State University, featherweight mixed martial artists Ethan Goss and Andrew Salas met inside the Bellator MMA cage. The Bellator 186 fight was closely contested and would go to the judges for a decision. An argument can be made for Salas winning the first two rounds but it was the third round that was a dominant performance in what should have been a 10-8 round in favor of Goss. If anything the fight could have likely been ruled a draw, but instead the scorecards revealed Salas as the victor. Goss discusses the need for better officiating and why it is important that judges have experience in and around the cage. 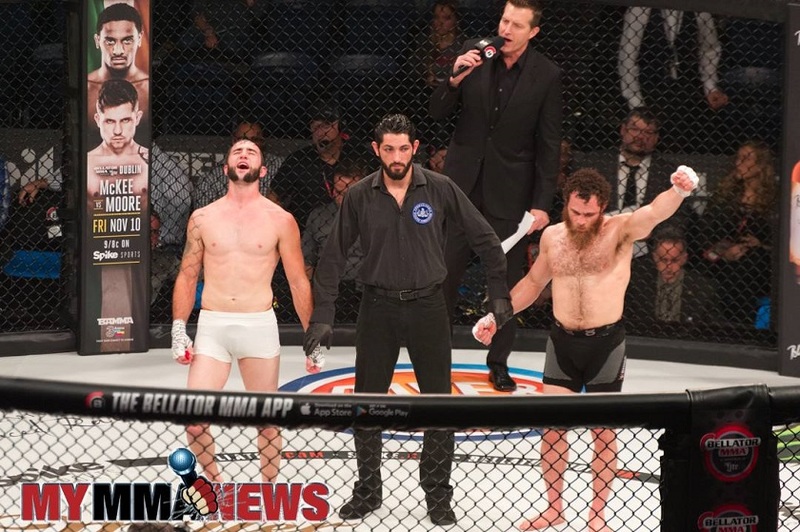 Coming out of the fight the Pennsylvania native says he has a few nagging injuries that may keep him from the cage for a months despite wishes to compete at Art of War 4 in December. During the fight there was a moment where Salas’ head coach, Dante Rivera, told his fighter that Goss was done. Not one to quit, Goss looked right at Rivera, shook his head and basically told him that quit is not in his DNA. Goss addresses the statement from Rivera and said that the famed BJJ coach offered an apology and explanation following the fight, earning more of his respect.